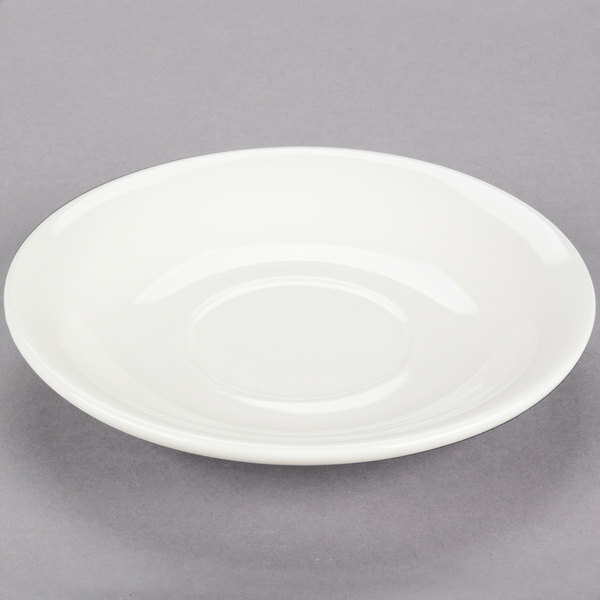 Use this Choice 6" ivory (American white) rolled edge china saucer to hold a variety of hot beverage options in your dining room! 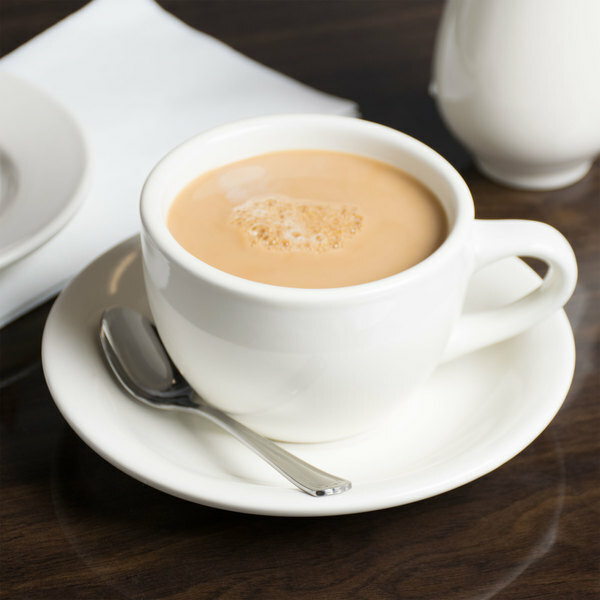 Great for coffee, tea, and hot chocolate, this saucer provides simple style and function at your restaurant, cafe, or diner. With its classic design and durability, you can serve each drink with confidence to keep your guests coming back time and time again! 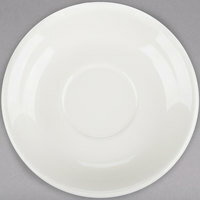 "Very nice, high quality saucer for a very low, value price. Pleased with these, we use them under our soup cups. Look nice, clean well and stack nicely on the shelves"
With its ivory coloring, this saucer enhances any style or color of table linens, dinnerware accessories, or table settings. 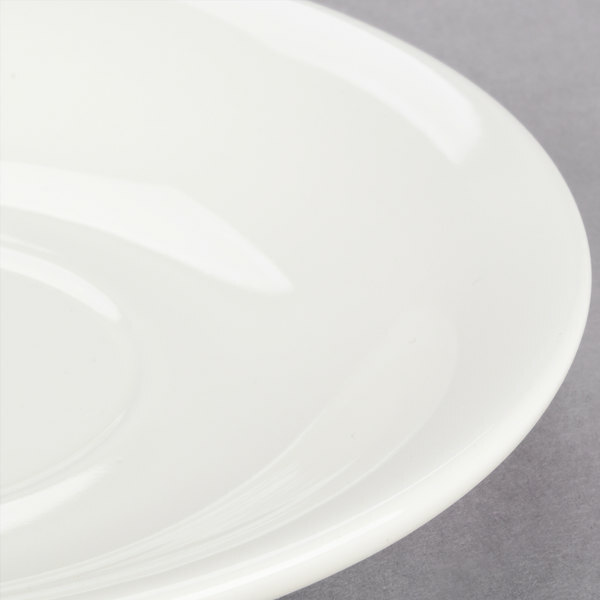 The elegant color also provides the perfect background to ensure that your coffee and tea drinks pop on the plate. 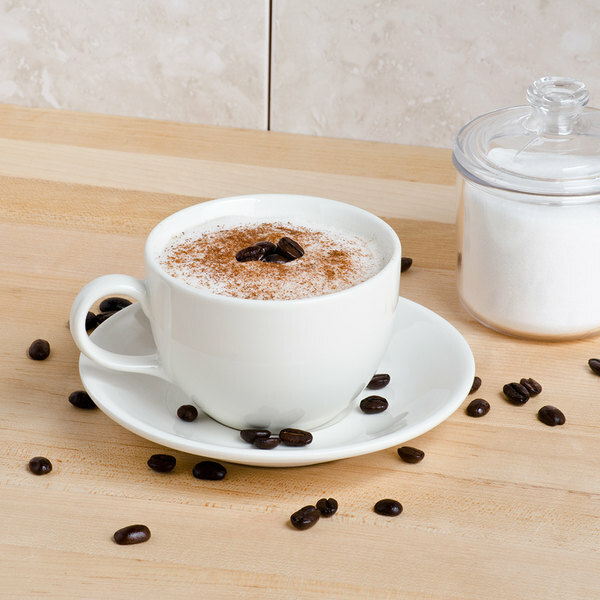 This 6" saucer is ideal for serving specialty lattes or cappuccinos. With ample room, your baristas can add a creative touch to each drink for an experience your guests will remember! 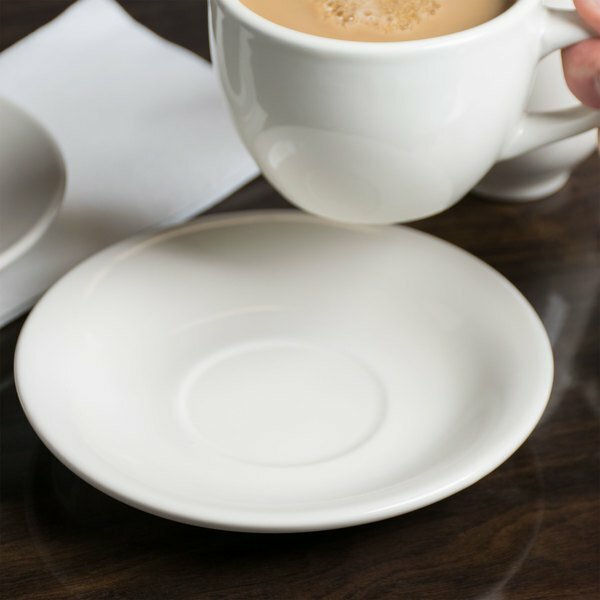 Boasting a rolled edge, this saucer elegantly frames your mug to enhance the presentation while also helping to catch any spillage that may occur during service. 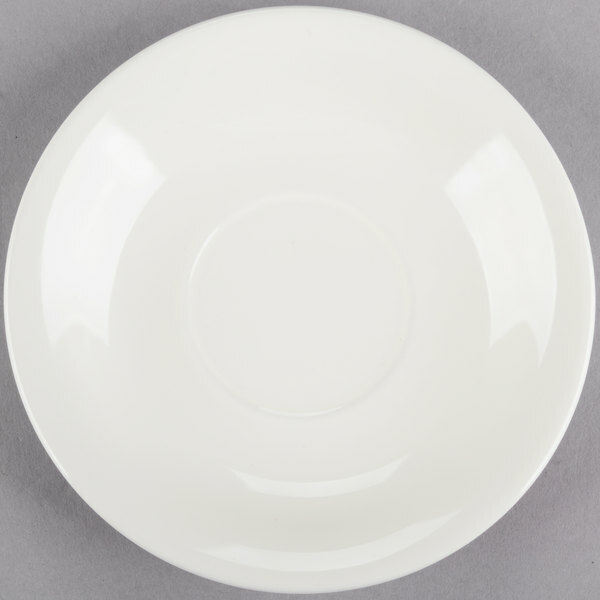 We love the value, compatibility and durability of this Choice Ivory Wide Rim China product line and I buy many of this style. 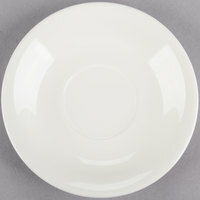 This saucer however is the first item that I will criticize. The center indentation for soup cups and other items is far too large and allows things to swim around when carrying or serving. Buy the rest of the product line but leave this one out of your cart until it is redesigned. A flat underliner would work just as well. I bought three cases and I'm sure that shipping them back would be too costly. My bad. I should have tried one case first. This is a great saucer for coffee cups, which I also bought here. They do last and don't break easily. I would buy these again. This is very good quality product. The price is good. It is very easy to use. My employees stop complaining about hard time to use it. Very thick and sturdy looking and the color is bright white. Good for a high volume establishment that has a lot of traffic. Does not chip easily. These things are pretty durable and can withstand the toughest of obstacles. It has been through the ringer and still has not broken. These are perfect for serving cookies or small cakes or muffins on. They are also good as a saucer for a cup of tea or hot beverage. Great quality. We are using them in a cafe for our coffee and tea drinks along with the China Milano mugs. They make our drinks look elegant and classy. Everything you want for a cafe! Fits well seven ounce boulion cup. Great quality for the money. Has held up exremely well in a busy restaurant and many cycles through a mechanical diswasher.